connects to the bony bump on the outside of the elbow (called the lateral epicondyle). Tennis elbow most commonly affects people in their dominant arm, but it can occur in either or both arms. 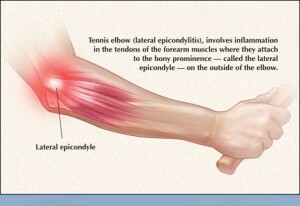 Tennis elbow is caused by repeated motions of the wrist or forearm. 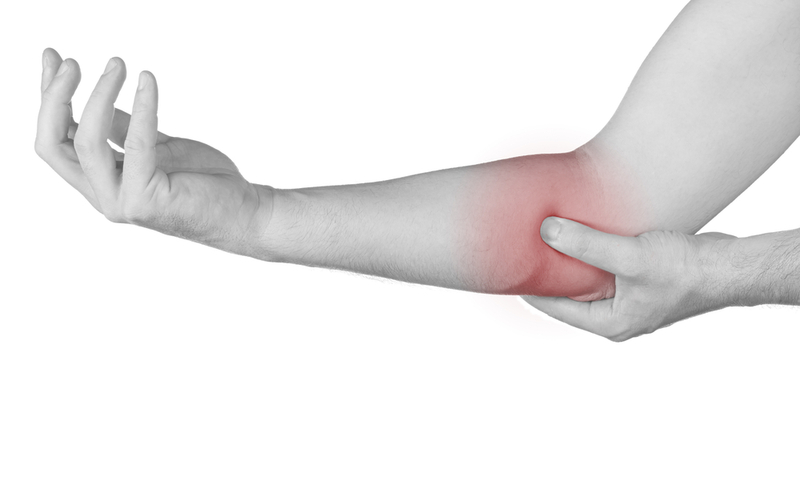 The injury is called “tennis elbow” because of its common occurrence in the sport. The violent extension of the wrist, like during a backhand hit, causes the condition. However, any activity that involves repetitive twisting of the wrist, like using a screwdriver, is also responsible.